The kickoff of summer programming this year was a great one. The day was filled with excellent finds, and lots of thrills for all the kids who spent time with us. Our morning started at Blacks Creek with our partner sailing program run by the Quincy Rec. Department. I was happy to see a lot of familiar faces returning from last summer join us for games and exploration in this wonderful estuary. Even more exciting was the growth in size of our program at the site, made evident by the presence of so many newcomers. 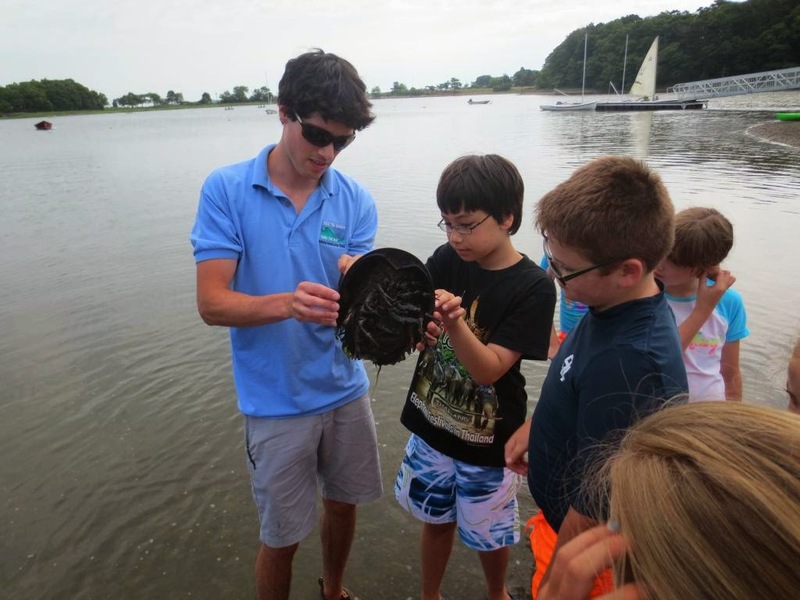 Horseshoe Crabs are always a big hit. After finishing up in Quincy, the team and I headed out to Camp Harbor View on Long Island. This beautiful harbor island is a special place, and the camp at its end is a true gem. Run by The Boys and Girls Club, it offers all the opportunities of the finest summer camps, but offered to the children of Boston for a mere 5 dollars per four week session. 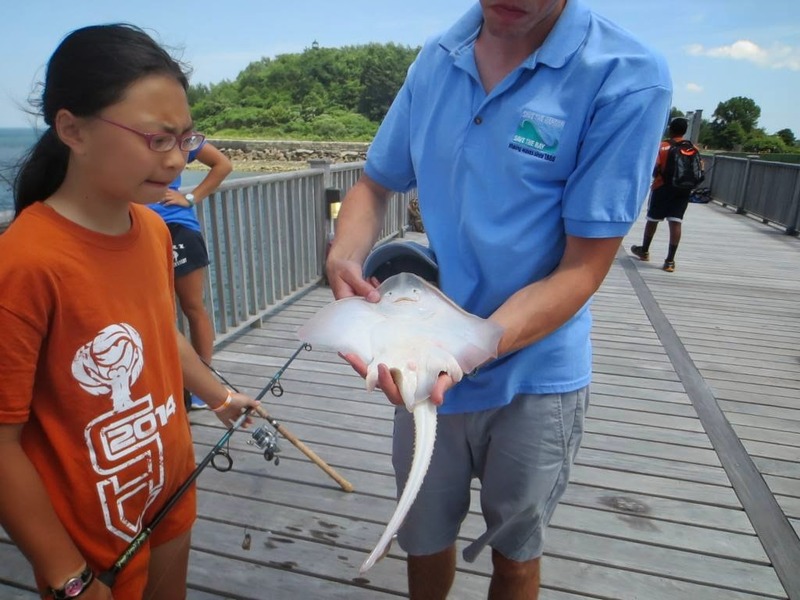 The day there started at fishing club, where we managed to catch a small skate, leading a lot of excitement on the docks. 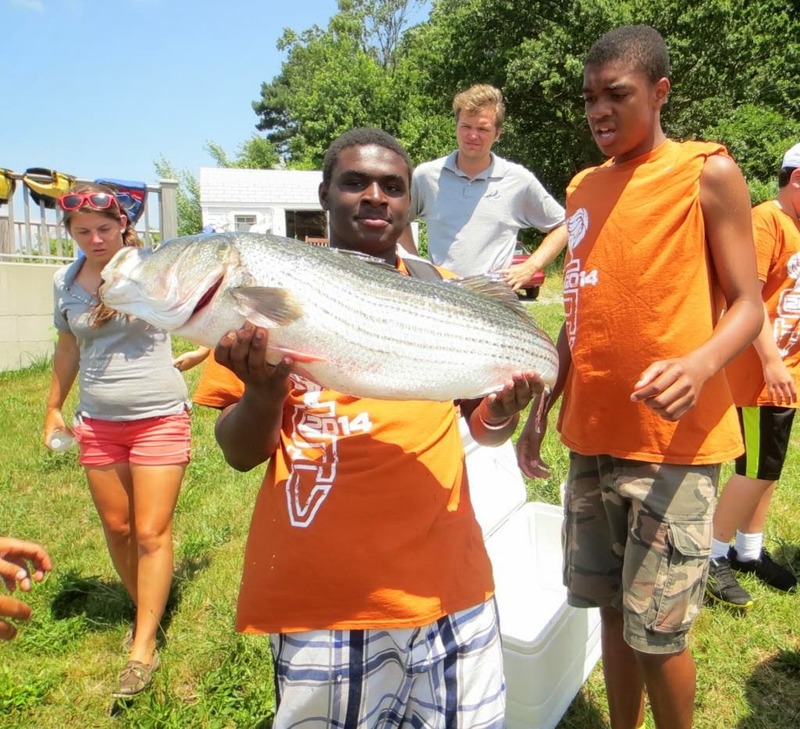 Even more well received was the 38in Striped Bass provided to us by Bruce Berman. Filleting and dissection of this behemoth went over particularly well, and the kids were ecstatic to be able to take home some delicious pieces.